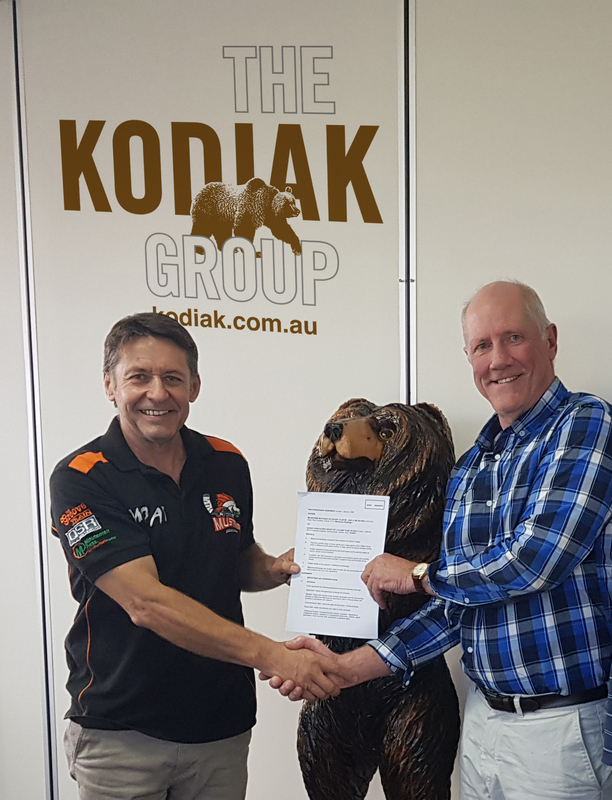 The Melbourne Mustangs are pleased to announce that The Kodiak Group have signed on as the Naming Rights Sponsor for the next two years, supporting the growth of our Club as we strive to achieve our goal of reclaiming the Goodall Cup. John Belic, President of the Melbourne Mustangs, now formally KODIAK Melbourne Mustangs, had this to say about the Agreement. “John and Sue Dunwoody and the team at The Kodiak Group were already an important part of the Mustang family, and we are very excited that they chose to extend their support in 2018 and 2019”. The Kodiak Group is an Australian born company with strong Canadian roots. They pride themselves on their professionalism, hard work and providing only the best outcomes aligning with the Mustangs values & beliefs making for a fitting partnership. The KODIAK Group incorporates the KODIAK CONSTRUCTION GROUP - Commercial Builders, KODIAK KIDS - Playground Design & Construction, POLAR SHADE SAILS & SHADE STRUCTURES - Commercial Shade Solutions, PLAYGROUND SAFETY INSPECTIONS - Auditing playgrounds across Australia for Safety Compliance, SUMMIT FLOORING - Commercial Flooring Solutions, and KODIAK RISING - The Charitable Arm of The KODIAK Group dedicated to building schools in Third World countries.